Opening to welcome guests on March 25, 2017, FLC Safari Zoo Park is the first wildlife park in Quy Nhon (Quy Nhơn). It followed the design of basis would-class safari model. As the place to preserve approximately 900 animal species, FLC Safari Zoo Park becomes the hot tourist’s spot in Quy Nhon by attracting a large number of tourists and travelers who come to this zoo to admire the countless animal species and immerse in the wildlife of living species. When Is The Best Time To Visit FLC Safari Zoo Park Quy Nhon? The best time for you to visit FLC Safari Zoo Park Quy Nhon is in the spring because, during the cold weather, the animals are always active. The spring is also the birthing season of animals when you can explore their wildlife and activities. During these times, the weather is sunny but cool. You can also visit the FLC Safari Zoo Park Quy Nhon in the summer months, and I suggest you should visit here in the morning or late evening when the temperatures go down, and the weather is cooler. The busiest time of the year when a large of tourists comes to Quy Nhon and FLC Safari Zoo Park is from June to August because it is the school vacations. If you have a trip during these times, you may get the high price for flights and hotels. What To See And Do At Flc Safari Zoo Park Quy Nhon? Built-in Nhon Ly sea resort, Quy Nhon city on an area of 38.5 ha, FLC Safari Zoo Park as a safari model preserves over 1,000 rare animals like birds, Bear, swans, giraffes, etc. Visiting this park, you will be astonished at the various scale and system of the park. In FLC Safari Zoo Park Quy Nhon, tourists can interact with animals, which helps tourists and visitors understand more about the animal’s living wild experience and natural habitat. The park will bring a space harmony of natural and make tourists feel like they are being lost in the natural world of beautiful flowers, green plants, and wild animals. By getting closer and closer, you will be able to learn about the habitat of wildlife. Coming to the FLC Safari Zoo Park Quy Nhon is a great opportunity for you to watch, approach to the animal and feed them with allowed food. Many families take children there because they think it is a good condition and environment for children to gain knowledge and build enthusiasm. Children will know how to love animals and nature. As a result, they will have a sense of protecting nature and wildlife. There are many interesting interactive activities such as holding animals with arms, riding elephants, riding ostriches, and feeding animals that will give you great and memorable experiences. 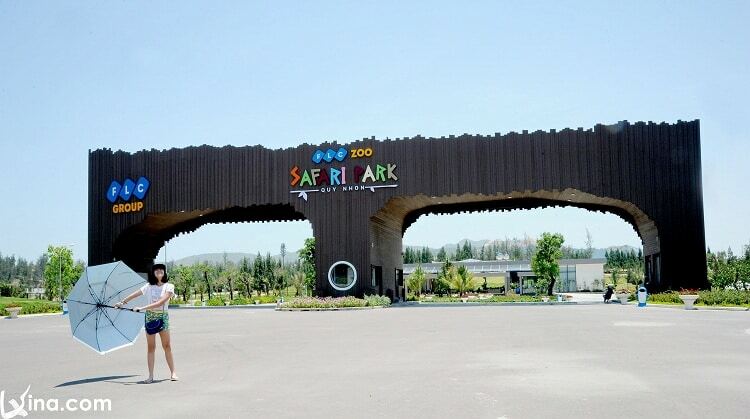 Furthermore, FLC Safari Zoo Park Quy Nhon also has many other entertainment activities and games with the price ranging from 30,000 to 50,000VND like the double bike, rent picnic or kayak. It is a good place for you to visit with your friends and family, escaping from the daily busy life. In the park, you can also buy souvenirs and gifts in many souvenir shops to give your friends at home, eat delicious foods at restaurants during the visit. Where To Stay And Eat In Flc Safari Zoo Park Quy Nhon? If you want to spend one day in FLC Safari Zoo Park Quy Nhon, you should not miss the opportunity to eat the delicious foods here. The best must-try thing in the park’s restaurants is sea urchin sauce that is made of a fruit kind only in Binh Dinh (Bình Định) mountains. 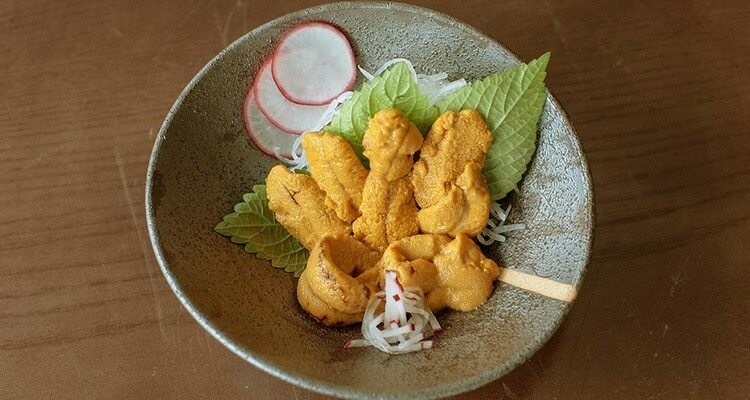 It is easy to make the sea urchin sauce but with 100kg of rind, you can make the only 2kg of sea urchins. Quy Nhon also has many famous cakes such as Banh It (bánh ít), Banh Beo (bánh bèo), Banh Xeo (bánh xèo), Banh Hoi (bánh hỏi) that can also be enjoyed near FLC Safari Zoo Park. Of course, visiting Quy Nhon and many attractions here, you cannot miss seafood. After finishing the trip to FLC Safari Zoo Park Quy Nhon, you can come back to the Quy Nhon city and find a hotel with a suitable price here. 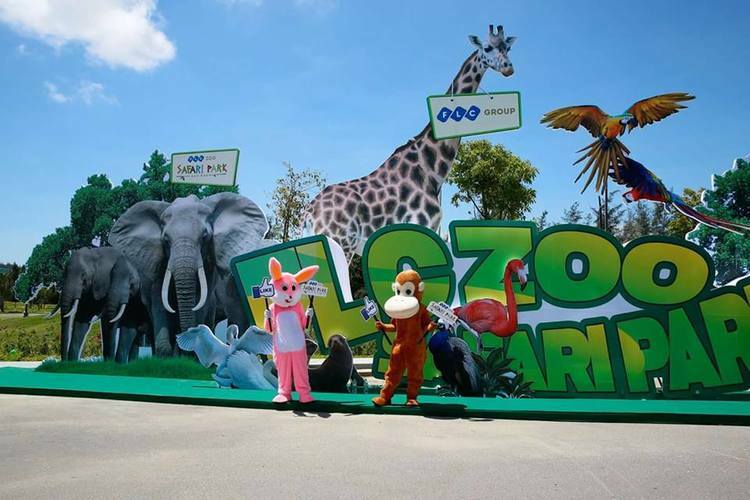 The opening of FLC Safari Zoo Park has created an impressive development for Quy Nhon city. Along with other famous attractions such as Eo Gio – Ky Co (Eo Gió – Kỳ Co), Thap Doi (Tháp Đôi), etc. FLC Safari Park is making Quy Nhon city a new tourist paradise in Vietnam. To know more about Vietnam travel, visit our Vina homepage.